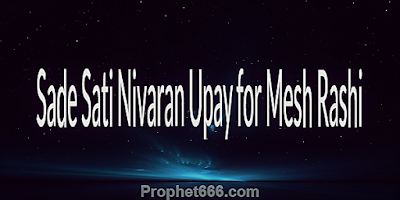 1] The Sade Sati Nivaran Upay for Mesh Rashi has to be performed for 40 days in a row. 2] The practitioner has to grind 5 ¼ Kilograms of Jau Ka Atta [Barley Flour] and keep it aside for using it for all the 40 days of Sade Sati Shanti Upay Sadhana. 3] The Upay should be started on a Saturday, on the first day, the practitioner has to visit a Chiti Ka Ghar [ant hill] and light an Oil Lamp in-front of the Chiti Ka Ghar. Then, he should keep 125 grams of the Jau Ka Atta on the ant hill for feeding the ants and then go back to his home. 4] This, procedure has to be repeated daily for all the remaining days of the Shani Sade Sati Shanti Totka. The only difference is that the Tel Ka Diya should only be lit on the first and last days of the Upay, it should not be lit for the rest of the days. 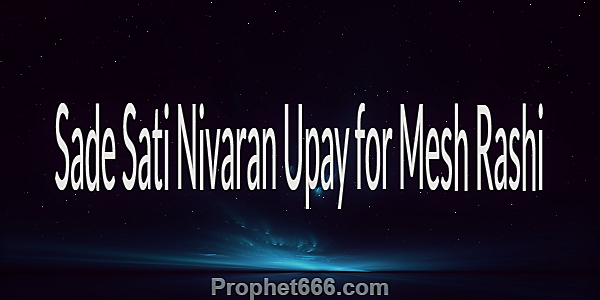 Faithfully performing this Shani Sadi Sati Nivaran Upay is said to give relief to people born under this Moon Sign during this challenging phase of Saturn.